Happy Superbowl Sunday 2014! 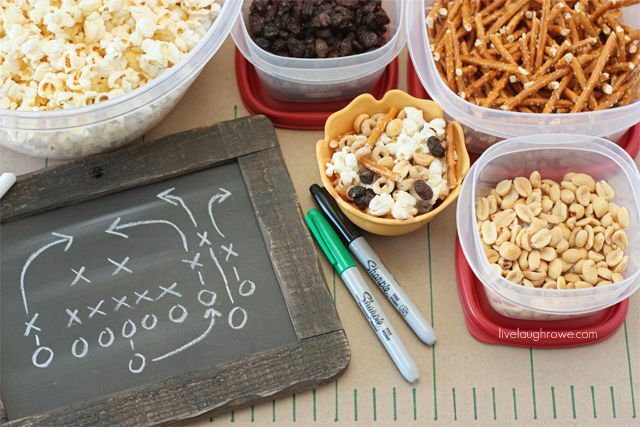 In honor of Celebrate Everyday’s love for football, festive food and DIY flair, I thought I would combine a list of tips and unique sports themed party ideas I have seen pinned and posted about this year. I deem the following list simply fan-Superbowl-tastic! 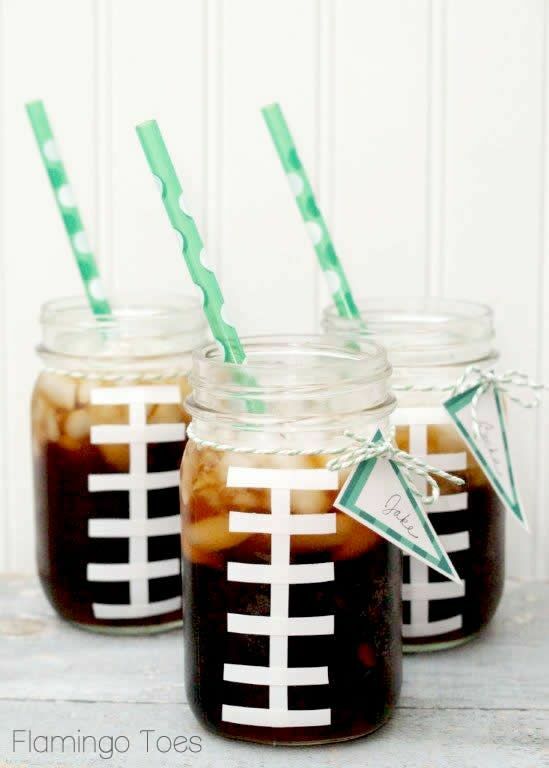 MASON JARS – Check out these football glasses you can make with strategically placed white tape, mason jars and paper straws. BEER TASTING anyone? 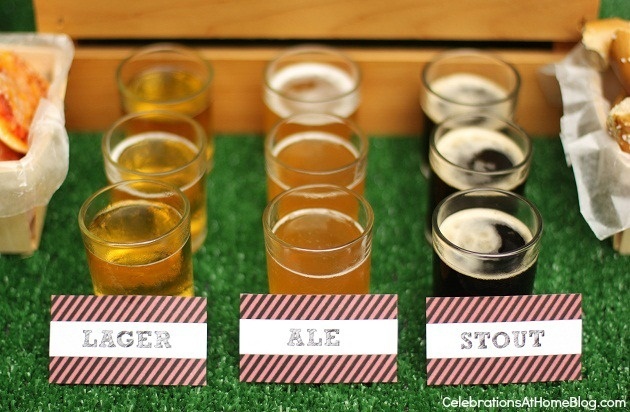 For your beer connoisseurs try displaying a collection of stouts, ales and lagers for their enjoyment during every quarter of the game. On a budget? Check out Trader Joe’s or Wegmans for unique and well priced beers at grocery store prices. DESSERT and SNACK BUFFETS – Popcorn, baked potato, hot pretzel and chex mix bars all rank high on my fun activity meter. 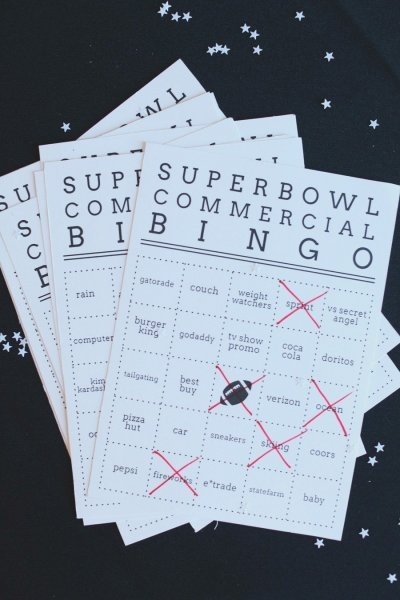 NON-FOOTBALL THEMED ACTIVITIES – Ok so maybe you and your friend’s aren’t big sports fans? Don’t let football come between you and an opportunity to connect with friends. 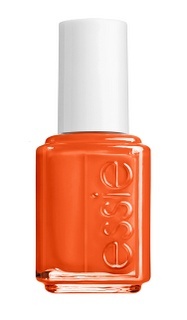 You can play Superbowl commercial bingo or even do manicures in the colors of your new favorite team. HAVE FUN – Embrace the competitive spirit, toast to friends and family and have some fun tonight. Posted in For the Love of Sports, JubileeBookmark the permalink.